Curt Beckmann, CTO for EMEA at Brocade, joins Packet Pushers Ethan Banks & Greg Ferro for an update of what’s been going on with the Forwarding Abstractions Working Group (FAWG) at the Open Networking Foundation (ONF). We get into a discussion of emerging Table Type Patterns within OpenFlow (OF), a way for OF switches and OF controllers to agree on a set of OF capabilities that will be used. This is a key abstraction to move OpenFlow forward, as not all switch silicon has the same capabilities and OpenFlow has a growing list of functionality. The conversation swings a bit wider, touching on topics like the ONF’s connection to open source projects like OpenDaylight and OPNFV. Curt is a very knowledgeable guest right in the thick of things. Listen to this show, and gain some knowledge about topics that are top of mind for the folks who are mapping out the next generation of networking. 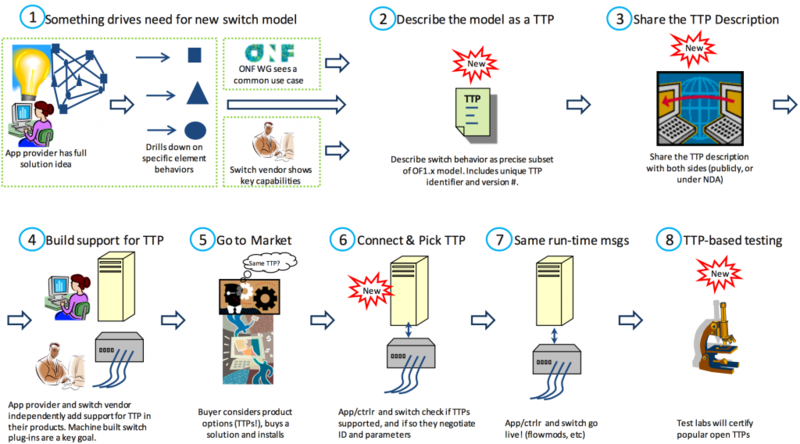 “OpenFlow Network Lifecycle with TTPs” appears originally on the ONF web site. Click link below for full PDF.